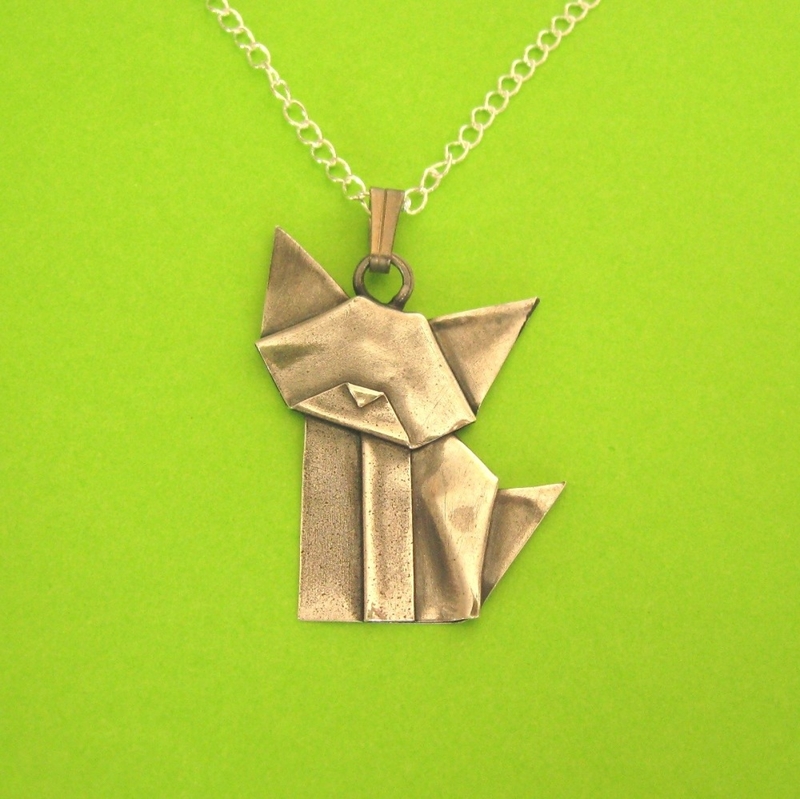 Its the classic Allegro origami cat, ready to wear around your neck. 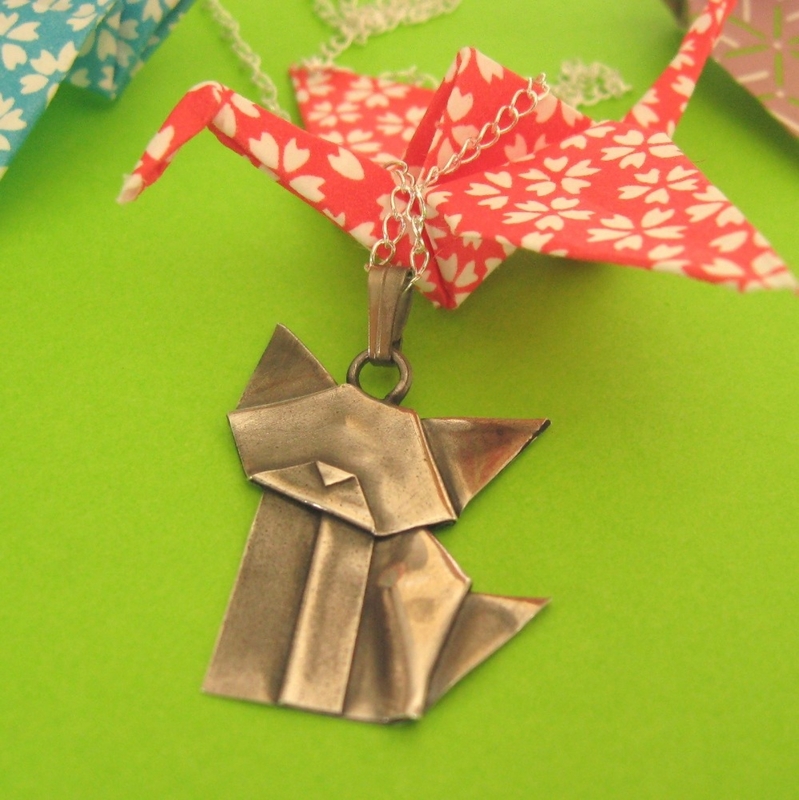 Its folded from .999 fine silver, using the exact same folds as you would with paper, then kiln fired and polished for strength. The cats are given a light antique to bring out the details. The kitties have been pretty popular, so I keep making them. 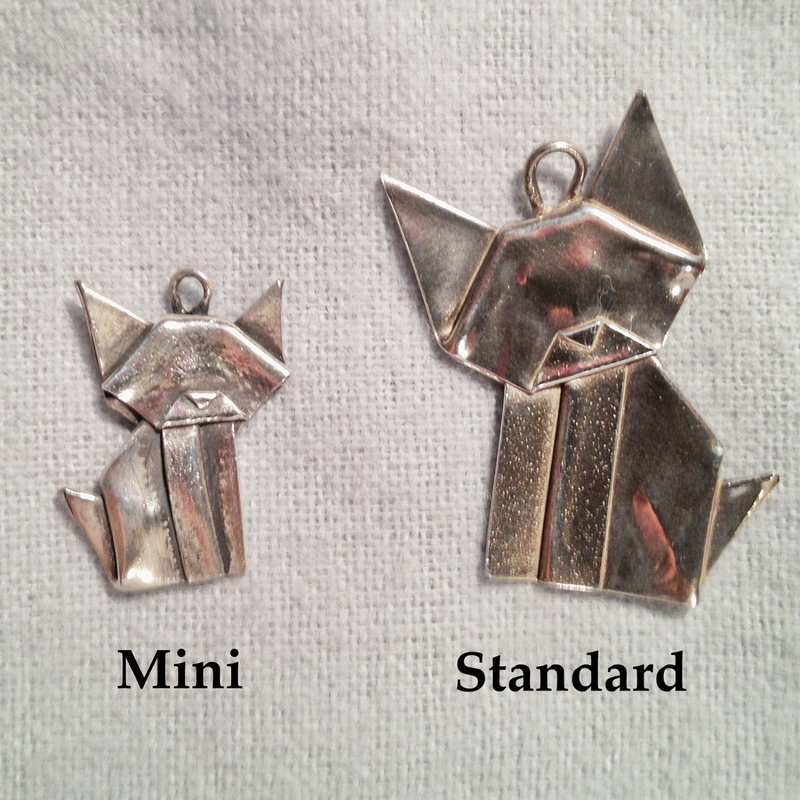 I make sure each one is slightly different, so the one you get may not look exactly like the photo here. Heads are tilted slightly more or less, ears may be shorter, or the nose larger. 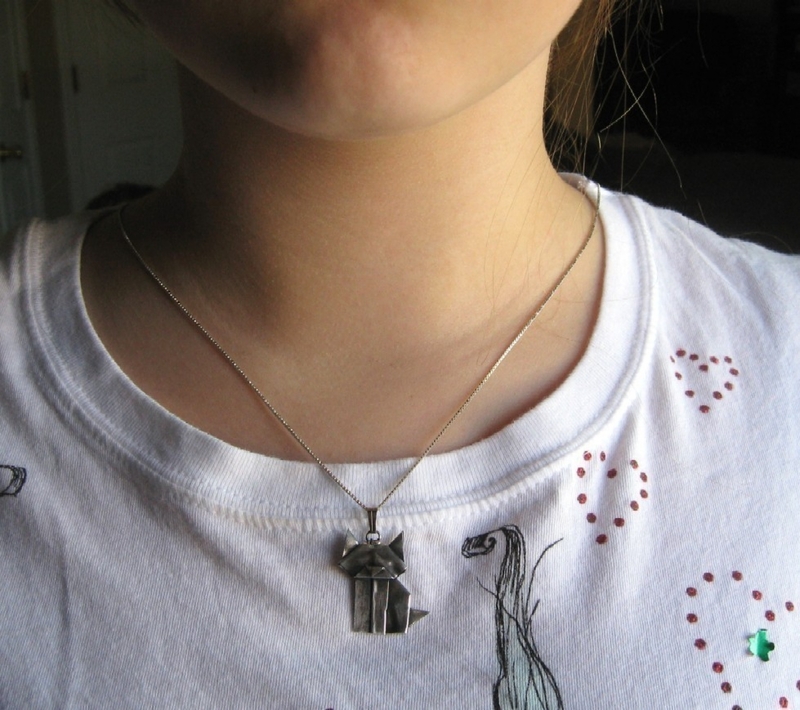 Ships complete with an 18 inch sterling silver chain, as shown. All my items are ready to ship, and come in a tissue lined box perfect for gifting. I can usually ship out an order the next business day.